After losing 70% of his hearing at the age of four, Tom Worcester found it difficult to decipher high-frequency, lyric-based music. 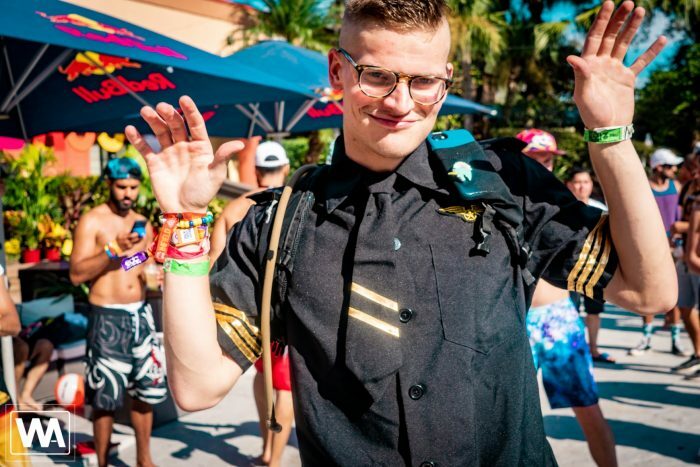 However, it was at Ultra Music Festival where Tom discovered the low-frequency of a bass drop was not only music he could hear – it was music he could feel. Now Tom is giving back to the festival community with Lunchbox, his anti-theft hydration pack. Designed based on advice from hundreds of festival attendees, Lunchbox comes packed with functional and innovative features optimized to make this the last festival bag you’ll ever need. 3 reasons why Lunchbox is the #1 festival bag. facing phone pocket to keep your device in sight at all times. 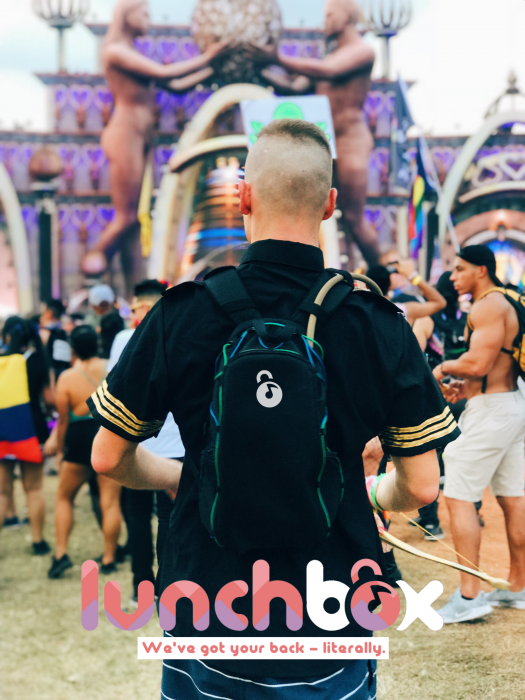 With Lunchbox protecting your back, you can lose yourself in the music without needing to worry about the security of your valuables. Don’t be caught wasting an hour of your festival experience relying on the refill designs of slow, clunky standard hydration packs. No longer will you have to remove the water bladder to refill your pack. Lunchbox’s patented EasyFill system allows you to rapidly refill the pack from the side, keeping the bladder in the bag the whole time. With a refill time over three times the speed of standard bags, Lunchbox makes sure you won’t miss the drop you’ve been waiting to hear. Lunchbox is the festival bag of the future. 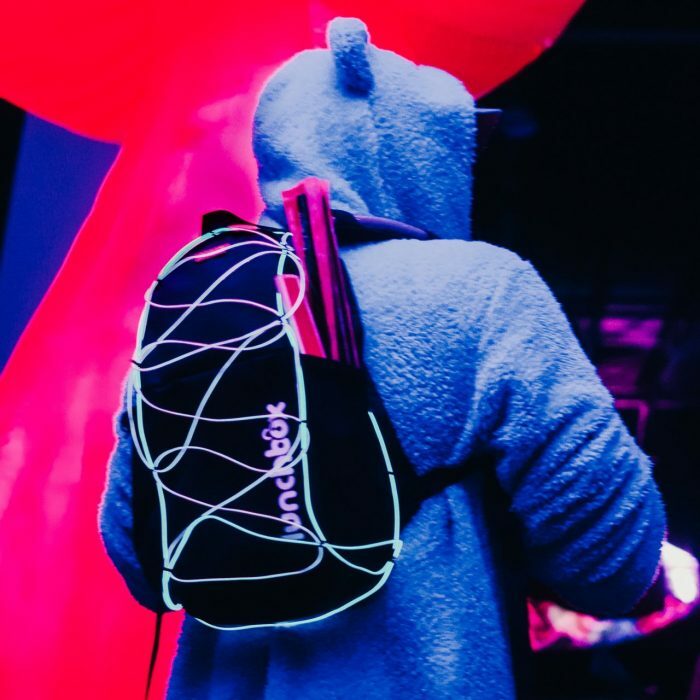 Beyond having a super convenient charging cable wire path, the pack has an interchangeable, customizable zip-on skin system; with just one bag you can represent your favorite artist, match your festival aesthetic, and express your inner child. Seamlessly change your look from fest to fest. Plus, built-in loops allow you to easily string custom EL wire color combinations. This fully theft proof, easily refillable and wildly fashionable Lunchbox is now taking pre-orders after raising 170% of their funding goal on Kickstarter. Be among the first to own Lunchbox. 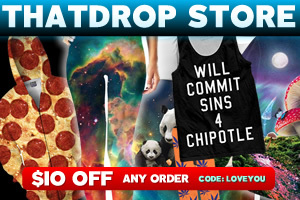 Pre-orders will deliver before EDC: Las Vegas but supplies are limited – you can order on their website here! It’s clear the festival community is ready this addition.